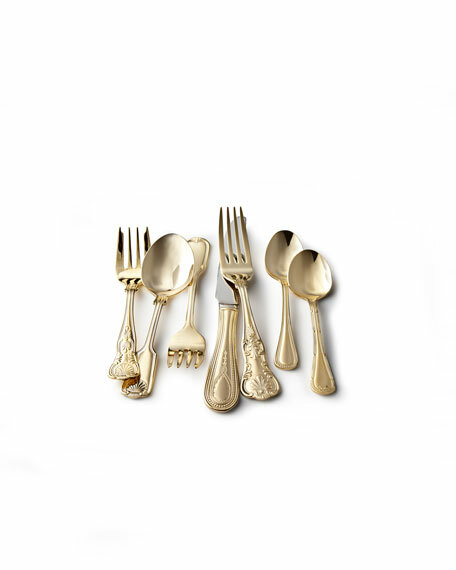 Flatware made of 18/10 stainless steel with 24-kt. gold plating. 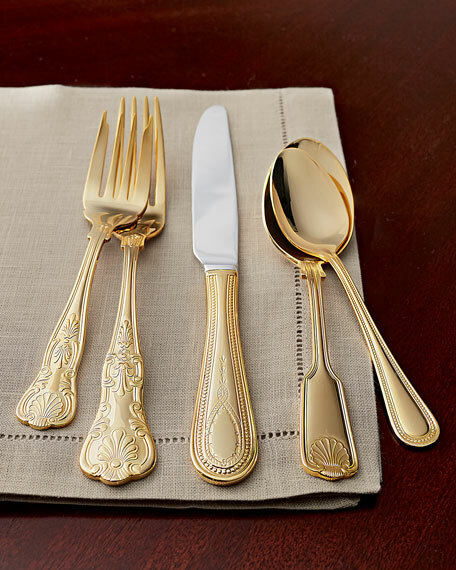 Each place setting is a mix of seven different patterns. 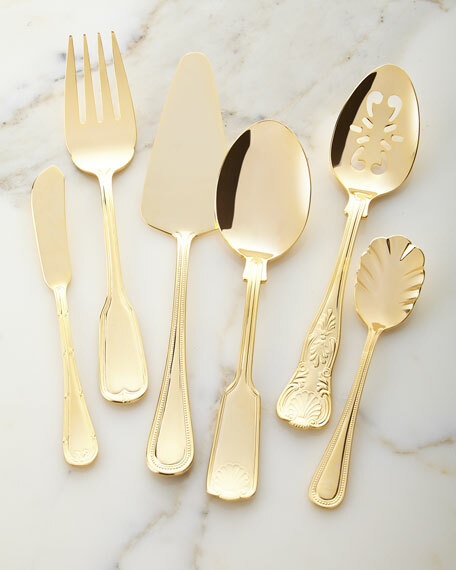 Service includes 12 five-piece place settings, 12 extra salad forks, 12 extra teaspoons, two serving spoons (one pierced) serving fork, pie server, sugar spoon, and butter knife. 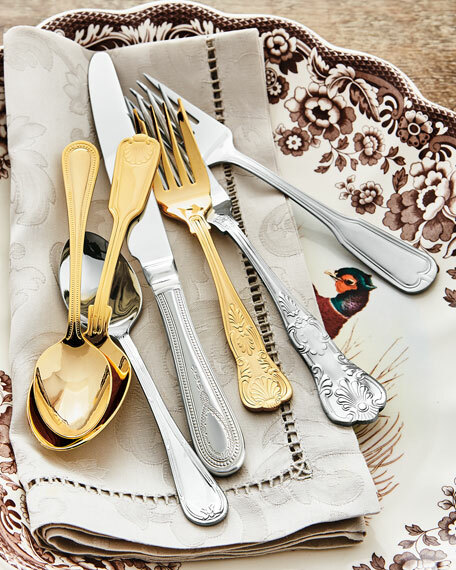 From its beginnings on the banks of the Merrimack River in 1690, Towle Silversmiths has maintained an enduring tradition of fine craftsmanship in sterling silver and stainless steel flatware for over 300 years. This remarkable heritage is reflected in the outstanding character, magnificent detail, and incredible balance of every piece bearing the Towle® name. Crafted by an elite group of artisans, each piece of Towle is exceptional in quality, with a beautiful balance of form and function. 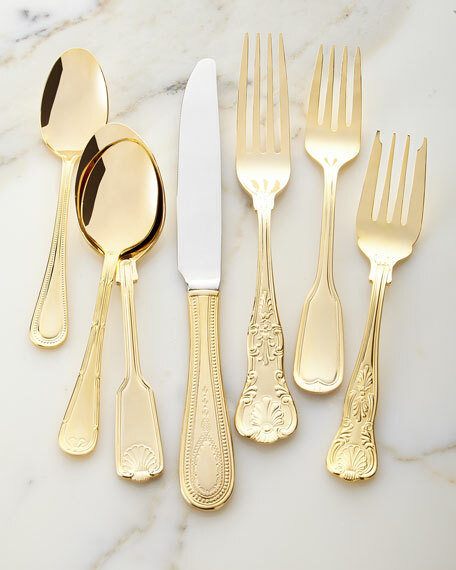 Towle offers both updated and traditional designs that are made for entertaining yet perfectly practical to use every day.